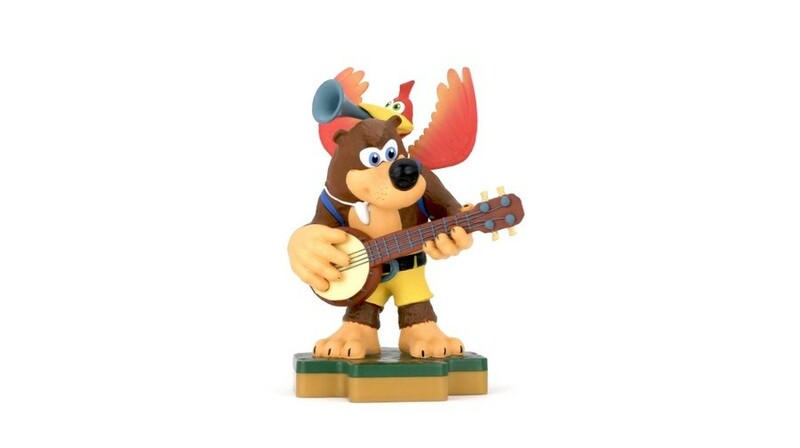 If you were around during the years of the Nintendo 64, you'll no doubt remember Rare's foul-mouthed squirrel Conker and the beloved bear and bird duo, Banjo-Kazooie. To help you remember the glory days of these iconic characters, the Totaku Collection is adding the characters to its officially licensed figurine line. Both the designs are sporting classic Nintendo 64 looks and are expected to be released in the UK this autumn for £12.99 (exclusively at Forbidden Planet and Game). This classic-game-inspired line started at the beginning of this year with six characters - the majority being PlayStation icons. Unlike amiibo, these are traditional figurines - with no extra features or functionality. Do you collect video game figurines? Are you a fan of Rare's N64 classics? Or would you rather stick with amiibo? Tell us below. I was hoping for a Great Mighty Poo figurine. Ah, that's right, the totally-no-amiibo stuff. Neat. Why didn’t nintendo buy the rights to these games!!! So it costs more than amiibo yet no NFC functionalities? People keep calling Conker "foul-mouthed" but he's actually one of the least foul-mouthed characters in the game. You could count the number of times he swears in the game on one hand and even then it's very mild and not bleeped (except once in the Xbox version, which was more censored in general) like some other characters who swear. @Fuz what you said. All. Day. Long. They keep coming and I don't have money for all. Without an amiibo-like functionality I have a hard time justifying them to my wife, so I think I'll stick to Sonic, Knuckles and Tails. Looked at a few of these in GAME the other day, I like that it's a chance for figurines of other video game characters but they're really not the best quality. The paint jobs are cheap and nowhere near Amiibo quality (at least first run amiibo). Some of the sculpts were less than amazing too. 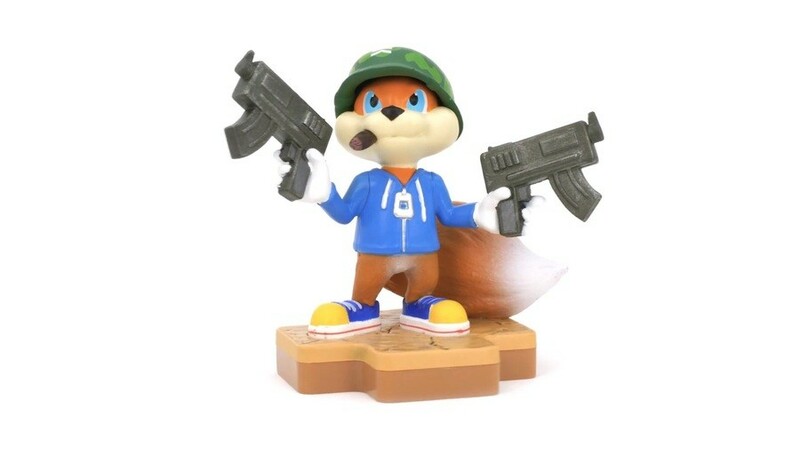 Oh no, Conker as soldier? As written before Totakus often look cheap, not as good as Amiibos. Ryu for example is painted in semi-gloss all over resulting in an oily beige suit, just terrible. They are far too expensive for the quality. Wait, Isn't Totaku licensed by Sony though? The only good thing to come out of microsofts buy out. really. 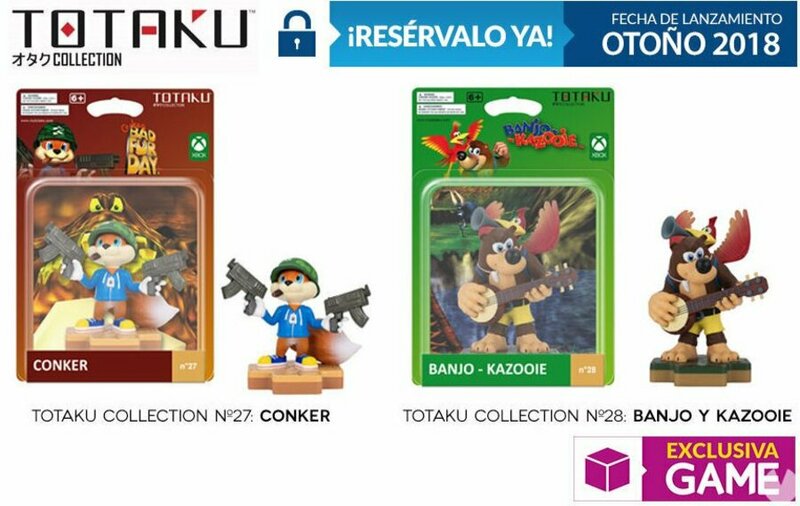 @BensonUii in the US they're $10, so a little less than amiibo. I don't know why they're so much more expensive in the UK.